'Ming' ( Marky Smith, R. 1997). Seedling #89-52F. IB, height 25" (64 cm). Midseason bloom. 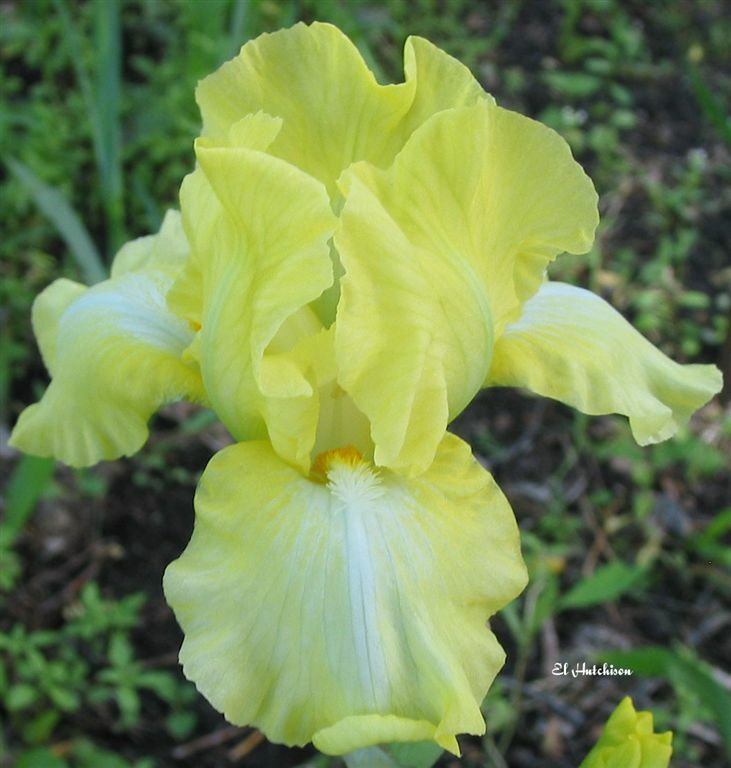 Standards clear dresden yellow (RHS 5A), green midrib; style arms clear yellow, midrib cream; falls shoulders dresden yellow (5A), slightly lighter (5B) rim, small cream white (4D) center and median stripe; beards cream white at end, strong yellow in throat; lightly ruffled; pronounced sweet fragrance. 'Violet Lulu' X Keppel seedling #84-15B, pollen parent of 'Spirit World'. Aitken's Salmon Creek 1998. Honorable Mention 2000; Award of Merit 2004; Sass Medal 2008.
jpg BHP_8528-X2_ming.jpg manage 126 K 19 Feb 2016 - 20:53 BrockHeilman Please contact Brock Heilman for image use.